Have you or a loved one been injured in an accident? Our highly experienced team of personal injury attorneys have recovered millions in damages for our clients in Bend Oregon. Put our 100+ years of combined experience to work for you. We only collect a fee if we win your case. Our results speak for themselves. Contact us today to ensure that you are fairly compensated for your loss. With more than $30,000,000 recovered in the last three years for our injured clients. We are a law firm that wins! In the past two years, the personal injury and accident lawyers at Dwyer Williams Cherkoss Attorneys, PC have settled over $2 million in claims for our Bend OR clients. With more than 75 years of combined legal experience, our firm uses the latest technology and resources that lead to unmatched strategies in the courtroom. Our exceptional understanding of the law, our decades of connections, and our investigative approach to success allow our clients to enjoy victories over the negligent parties who have caused their injuries. Victims of personal injury have a long road of recovery ahead. Our goal with each case we take is to shorten the distance between their current pain and suffering and a renewed quality of life. 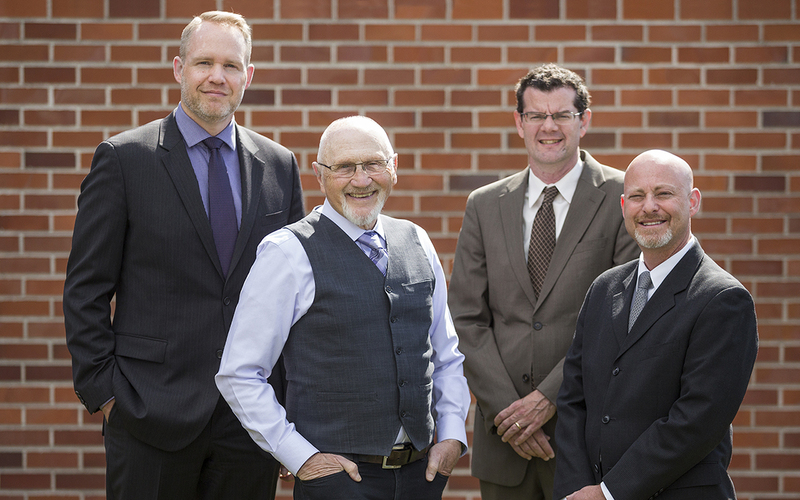 The Dwyer Williams Cherkoss Attorneys team takes great pride in being an active part of the Bend community. We offer unique, compassionate care and service for every personal injury client we represent. Our team has helped dozens of Bend people who have suffered serious injuries from an accident. Those accident victims almost all went through difficult times, and many faced real physical and financial hardship. Knowing and understanding your options after an injury is extremely important. We encourage you to set up a free consultation with one of our Bend team members for answers to specific questions about your unique legal situation. ▸ What Is A Personal Injury Attorney? A personal injury attorney is a lawyer who has experience with legal cases that arise after an accident. Any time an injury occurs, a personal injury attorney is a valuable asset. Vehicle accidents are the most common causes of personal injury. We help dozens of car accident victims every year in Bend. Other common injuries we see are slip and fall accidents, workplace injuries, dog bites, and nursing home abuse. Personal injury cases fall under the category of “tort” law. A tort occurs when someone else takes an action (or sometimes fails to take an action) that injures another person. ▸ What Does A Personal Injury Attorney Do? A personal injury attorney helps accident victims by handling the process of recouping some or all of the losses they have suffered during and after their accident. An attorney will build a personal injury case by speaking to witnesses, gathering medical records, reviewing police reports and much more. In some cases, they will work with the victim to ensure they are receiving necessary medical care. When a settlement needs to be negotiated with the insurance company, a personal injury attorney will speak on the victim’s behalf to ensure a fair settlement is reached. If he or she cannot work out a settlement, the attorney will determine if the case needs to go to trial. ▸ When Does Someone Need A Personal Injury Attorney? After involvement in any type of accident you should speak with a personal injury attorney. They can explain what your legal options are. If an insurance company that is not your own is attempting to contact you after an accident, speak with an attorney first. Dwyer Williams Cherkoss Attorneys offer a free consultation service that allows you to come in and meet with one of our experienced team members right in our Bend OR office. We will listen to the facts of your accident and determine whether you have a case. If you can’t make it into our office, we can meet with you over the phone or come to you. ▸ What types of damages can I receive for my car accident claim? Depending on the case, you may be able to receive money for different damages or injuries caused by a car accident. This may include economic and non-economic damages, including: medical expenses, future medical care or treatment, damage to your vehicle, personal property damage, lost wages, future loss of earning potential, pain and suffering, and psychological trauma. To find out about your particular claim, we recommend talking to a Oregon car accident lawyer at our law offices. We represent clients throughout Oregon and have offices in Eugene, Bend, Medford, Grants Pass, Roseburg, & Portland. ▸ How Much Does A Personal Injury Attorney Cost? Many people find themselves struggling financially after an injury. Serious injuries can mean being physically unable to perform tasks which can lead to extended time off work or the loss of a job. Our office offers clients the ability to work with the firm on a contingency basis. This means that if the case does not result in settlement or compensation for the victim, nothing is owed to the firm. There are no hourly fees, and the firm will handle the costs associated with working on the case. If compensation is awarded to the victim, then the firm will be paid a pre-negotiated percentage of the damages awarded. Any specific questions you may have about this arrangement can be discussed during your free consultation at our Bend office. ▸ What Happens At A Consultation? The potential client and the lawyer will interview each other in an initial consultation. The lawyer will evaluate various aspects of the accident and injuries to determine if a case can be made. Clients should ensure that they are comfortable with the lawyer from both a personal and a professional standpoint. This is a prospective client’s opportunity to ask about the attorney’s experience and qualifications. You’ll be educated about what the process will be like and what to expect. Victims also typically have many “what if” questions. Potential clients are under no obligation to hire the lawyer after a consultation. ​Do You Need to Hire an Accident Attorney in Bend Oregon? If you have suffered a personal injury contacting an experienced attorney in Bend OR is as easy as picking up the phone and speaking to one of our compassionate accident attorneys. After an accident, you have no idea what the total toll of your injuries will be, and when you must take time away from work to heal, medical bills are going to continue to flow in, even though you are without an income. The stress of an injury and the accompanying scenarios is too much for anyone to take on alone. Our personal injury attorneys can help turn your life around, beginning with a single, free consultation. Being involved in a car accident is a terrifying way for your daily activities to come to a halt. Who will go to that meeting? Who will pick up the kids? Are you okay? Will you be okay? If you are the victim of another’s negligent driving and were hurt in a car accident, contact us now to discover the best way to move forward. You are going to need help with everything from medical bills to lost wages and property damage to long-term care. Don’t go it alone. Riding a bicycle is often a terrific way to clear your head or enjoy time with your family while getting some exercise. With bike lanes and trails available to encourage safe riding patterns, some accidents occur between two riders, which can lead to broken bones, head, neck. and spine injuries just as easily as being hit by a motor vehicle can. Any bicycle accident deserves a consultation with an attorney. We can help you understand the next steps in receiving the proper care. Dog bites and dog attacks can lead to very serious injuries, including disease, and life-altering scars or disfigurement. Being bit by an animal can be traumatizing, even if you know the dog that caused your injuries, and its owner. Animal instincts are incredibly strong, and if a gate or door is left ajar, their sense to attack anyone near the property can result in a tragic injury, especially where children are involved. If you have suffered a dog bite and believe the pet owner was negligent in their duties to contain the animal, we want to hear from you today. Motorcycle and ATV riders are inherently vulnerable when an accident occurs, as there is little between the rider and the rode, and the injuries can be severe. This is true when motorcycles and ATVs are involved in accidents with cars, SUVS, and trucks, but also when they are involved in collisions with other riders. The injuries can be life-threatening and require extended care. We can help get you the best medical team available in Bend, OR. Some of the most life-changing accidents result in a spine, neck or brain injury that requires extended – and sometimes a lifetime of – care. If you were involved in an accident where you are permanently disabled, no matter if it is partial mobility issues, or full paralysis, you deserve compensation for your struggling health and diminished quality of life. Entrusting your loved one’s care with another is a decision you never wanted to make, but out of necessity, you found the best place available for your circumstances. Discovering physical abuse or negligent care in the nursing home in which your elderly family member is staying is devastating. Do not allow yourself to feel responsible for this disgusting and inappropriate behavior. Allow our elder law attorneys to examine the facts, interview the staff, and hold the administration available for their role in these terrible environments. Standard semi-trucks and tractor trailers are 53 feet long, nine feet high, and almost nine feet wide, and can legally carry up to 45,000 pounds of freight. Driving beside one of these giant trucks is enough to make you switch lanes and create distance between you and the monstrous vehicle. In our representative experience, being involved in an accident with a semi-truck is as haunting as it sounds. Severe injuries, totaled vehicles, and even death are all common results of a semi-truck accident in Bend, OR. At Dwyer Williams Cherkoss Attorneys, PC , we have successfully secured millions of dollars in recovery efforts for our clients that will allow them to take their injuries and healing successes one day at a time. If you have been involved in one of these terrible accidents, we can help you and your family too. Slip, trip and fall injuries are not as simple as a clumsy misstep. These are very serious accidents can be the result of wet floors without warning signage, ripped, curled, or poorly maintained rugs in entryways of shopping malls and restaurants, or even uneven sidewalk or stairs that have gone unrepaired by their owners. Poorly lit parking lots and stairwells all pose severe injury risks to our clients, and the jarring nature of these falls can lead to ligament tears, muscle strains, broken bones, and neck, spine, and head injuries. Never blame yourself for a fall that occurred outside of your home. Seek help from our attorneys to understand your legal options. Getting hurt at work is a very serious cause for contacting an attorney. Your employer must follow Workers’ Compensation requirements after an accident, and once you seek medical care, your company is going to immediately try and make the claim go away, or worse – blame you. You deserve better. You may not be able to go back to work right away or fulfill your previous position at all, and your medical costs should not come out of your pocket. Allow us to provide you with a full account of your rights after being hurt at work. Losing a loved one in an accident will feel like the end of the world. The surprise loss or the lengthy medical care that occurred before saying goodbye will take a toll on your entire family, and we could not be sorrier for the terrible circumstances you are enduring. Our wrongful death attorneys know that money is the furthest thing from your mind after a loss, but it is the best way to enact justice for your loss. The negligent person, party, or company that caused your loss must be held accountable for several reasons, including ensuring this never happens again. We will outline your financial losses and pursue your case while you take the time you need to heal. At Dwyer Williams Cherkoss Attorneys, PC, our Bend, Oregon office handles cases throughout Deschutes County, which allows us to focus on the well-being of our community while negotiating with insurance companies, or making settlement demands before a judge. If you have suffered from a personal injury, contact our experienced accident attorneys today at 541-617-0555 to schedule a free consultation. Our auto accident attorney help car wreck victims fight for maximum compensation after a serious auto accident. We help folks injured in 18-Wheeler or other semi truck crashes. Put our truck wreck lawyers on your side. We’ve been protecting the financial future of drunk driving accident victims in Oregon for over 30 years. Landlords, businesses, and property owners have a responsibility to keep their property free of hazards. Motorcycle riders get hurt at an alarming rate in Oregon. If you have been the victim in an accident, we can help. A bicycle accident can result in catastrophic injuries and a negative impact across many aspects of your life. If you have been injured or lost a loved one in a pedestrian accident, you have a right to seek compensation. Our team has spent years representing clients injured on the job in Oregon and can inform you of your rights. If you or a loved one have suffered a dog bite, we have the experience to get you the justice you deserve. We have successfully handled hundreds of brain injury lawsuits and will put our experience to work for you. Our attorneys will not rest until your loved one is protected from any further nursing home abuse. I have been a lawyer for 14 years. Over the years, I have had numerous tough personal injury cases. I brought Tim Williams in on many of them because of his expertise in personal injury. He knows this area of law inside and out. His reputation in Oregon is second to none and he is a pleasure to work with. Each one of those cases resulted in a positive financial outcome for the client. Highly recommend. I have been a lawyer for 14 years. Over the years, I have had numerous tough personal injury cases. I brought Tim Williams in on many of them because of his expertise in personal injury. He knows this area of law inside and out. His reputation in Oregon is second to none and he is a pleasure to work with. Each one of those cases resulted in a positive financial outcome for the client. Highly recommend. - Andrew M.
I was injured in an automobile accident and needed legal assistance. I met with Tim Williams, he answered all my questions and took charge of the case. He was very professional and made me feel like I had a big brother looking out for me. I received a very fair settlement due to all of Tim's hard work and I would recommend him to anyone I cared about. I was injured in an automobile accident and needed legal assistance. I met with Tim Williams, he answered all my questions and took charge of the case. He was very professional and made me feel like I had a big brother looking out for me. I received a very fair settlement due to all of Tim's hard work and I would recommend him to anyone I cared about. - Mike R.
The attorneys and staff are very professional, friendly and easy to work with. I appreciated their prompt responses and attention to my concerns. The attorneys and staff are very professional, friendly and easy to work with. I appreciated their prompt responses and attention to my concerns. - Julie G.
This firm is amazing! Warm friendly and on it. They do all the leg work, keep you updated. They got me more than I ever could have imagined. They were truly a blessing in my life. I may be scared a little deformed now, but I can live with it for what my settlement is taking care of. Ty to Dwyer Williams and associate s. Especially Tim Williams, Cindy, and Kelsie. Hugz - Darlyn B.
Tim was excellent to work with. At one point during the process of my case, things did not go as planned. Tim went the extra mile and reached out when it mattered the most. I will always appreciate him for that. Tim was excellent to work with. At one point during the process of my case, things did not go as planned. Tim went the extra mile and reached out when it mattered the most. I will always appreciate him for that. - Debbera W.
The people are so helpful and understanding. I really recommend going here. I was in a rollover car accident and had to be air-flighted. Since then I've had so much medical care and problems. Dwyer Williams has been a lifesaver. Thanks to all the staff keeping me updated and checking up on me, the case was settled and now I'm back to myself again. Thank you Dwyer team! The people are so helpful and understanding. I really recommend going here. I was in a rollover car accident and had to be air-flighted. Since then I've had so much medical care and problems. Dwyer Williams has been a lifesaver. Thanks to all the staff keeping me updated and checking up on me, the case was settled and now I'm back to myself again. Thank you Dwyer team! - Jasmine H.
The service I received was excellent and I would highly recommend the attorneys at this firm. Thank you for your outstanding work, I greatly appreciate your help and counsel through the aftermath of my auto accident. The service I received was excellent and I would highly recommend the attorneys at this firm. Thank you for your outstanding work, I greatly appreciate your help and counsel through the aftermath of my auto accident. - Lana D.
Our award-winning team of personal injury lawyers - Our accident lawyers have earned national recognition for their work on behalf of injured victims. We have been listed among the Best Lawyers in Oregon, recognized as Oregon Super Lawyers, and are proud members of the Multi-Million Dollar Advocates forum. Our law firm has an AV Preeminent rating from Martindale-Hubbell, the highest possible peer and client review rating in the legal industry. Record-setting verdicts and settlements – For proof of our success, look no further than our track record. The personal injury lawyers at Dwyer Williams Cherkoss Attorneys have achieved numerous multi-million dollar settlements and verdicts for our clients. We will negotiate on your behalf to get you the maximum settlement, or fight for you in court if necessary. Years of experience – When it comes to choosing a personal injury lawyer, experience counts. Since 1962, individuals and families in Oregon and around the U.S. have turned to Dwyer Williams Cherkoss Attorneys for help when they needed it most. Each of our partners has a minimum of 10-20 years handling complex personal injury matters. In that time, we have established ourselves as experts in the legal industry and gone up against some of the country’s biggest insurance and transportation companies. You can rest assured that your case will be in the best possible hands. Client satisfaction - Dwyer Williams Cherkoss Attorneys has all the resources of a big firm, while providing the individual attention you can only get from a small firm. Our personal injury clients can attest to the care and compassion they received from our entire staff. We will answer any questions you may have, and keep you informed throughout the entire process. See what some of our past clients have to say about their experience with Dwyer Williams Cherkoss Attorneys.